As November starts and the weather starts to grow colder and the night comes sooner, the trees begin to shed their leaves and fill our yards with an array of autumn colors but along with those beautiful colors is the added the task of picking up those leaves. Fall leaf clean ups are underway as we prepare your property for winter, our crews are out getting leaves picked up and off your lawns before the frost of old man winter is here. 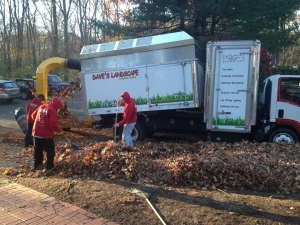 We come to your house when leaf drop is around 80%; removing the leaves from your beds and yard. In most cases the back yard leaves will be blown to the woods (if able) and the front and sides pushed to the roadside and sucked up by our snuffy (leaf vacuum) and disposed of. No piles should be left over night, however sometimes the snuffy is trailing behind the crews, so don’t panic if a pile is there an hour or so. We have several crew through our the area so we can get to you whether you live in Marlborough, Framingham, Bolton, Stow, Sudbury, Norhthboro, or any of the metrowest towns. 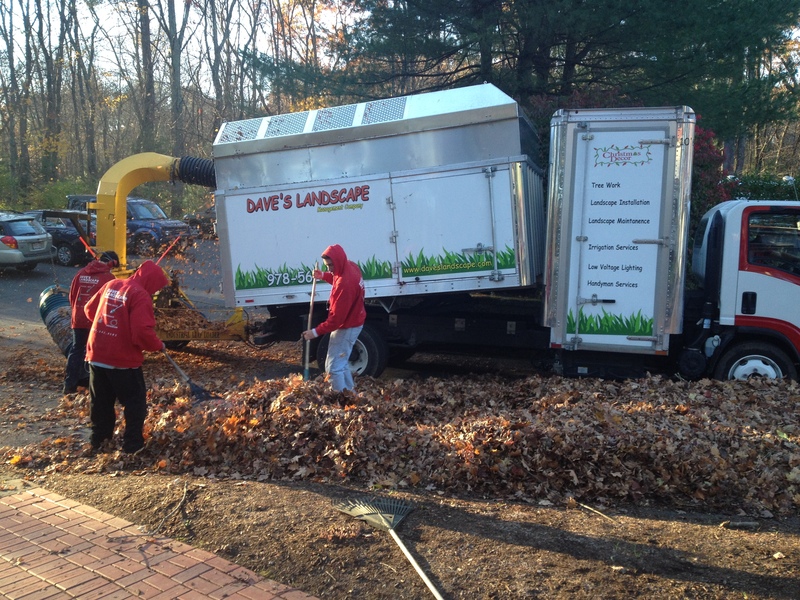 We started our fall clean ups during the first week in November and things have been ramping up as we get closer to the end of the month, with the week of Thanksgiving being out busiest time, so if you still have not contacted us and want to have your yard cleanup then please email us at dave@daveslandscape.com or call us at the office, 978-562-9591. And for you do it your selfers who rake up the leaves but do not want the hassle of bagging and carrying away we offer pile pick-up, just leave piles at end of yard and we will send out our ,”snuffy”, leaf vacuum to get them for you. Please call if you have any questions or concerns.